There a lot of Baby Sleep apps on Play Store and Android. “Baby Sleep – White Noise” is one the best. It has too many options so it can lull very capricious children. The app contains big collection of calm melodies and background noises. One of the most interesting features is “white noise” feature, available in three versions. According to the developers, it resembles the sounds that the child heard before birth. That is why it has a relaxing effect on many children. Any sound can be supplemented with a soothing “Shh-Shh”. In addition, the app provides a timer that allows you smart changing – gradually mute and mute selected sounds after a certain time. It can be 5-10 minutes or even several hours. The ap has a very simple and intuitive interface. All the necessary functions are always at hand, there are no complicated menus and subsections — everything is on one screen. You only need to select the sound, adjust the volume and, if necessary, set the time. The application can be useful not only for children but also their parents. White noise, the sound of rain, the splash of waves and the crackle of the fire — all this will allow you to relax, escape from everyday problems and smoothly plunge into sleep. 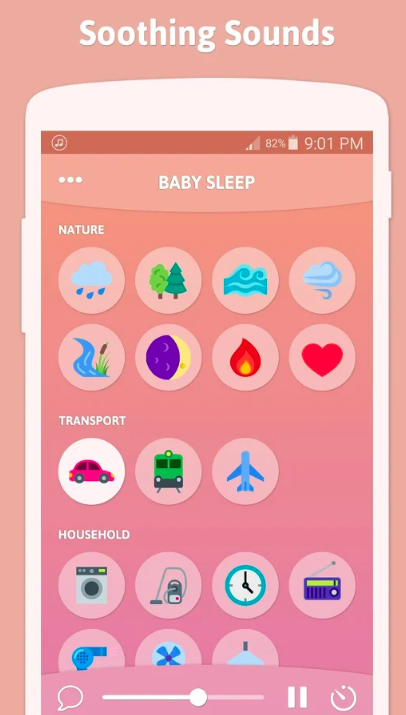 Baby Sleep – White Noise at Play Store. Next Post Opera for Android adds a built-in Ethereum wallet.